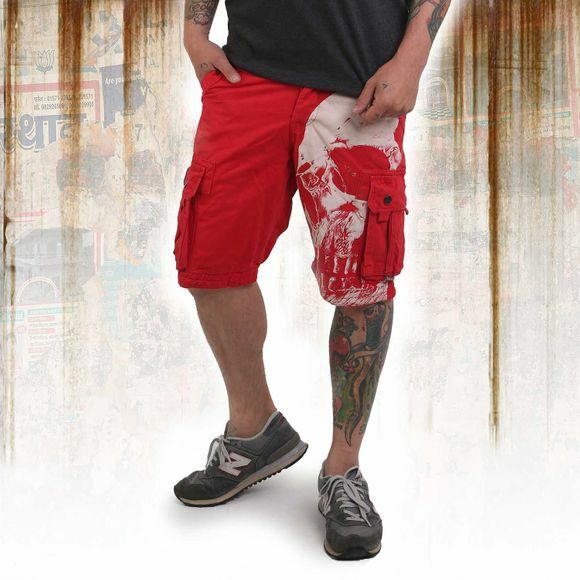 YAKUZA SURVIVOR men's cargo shorts. 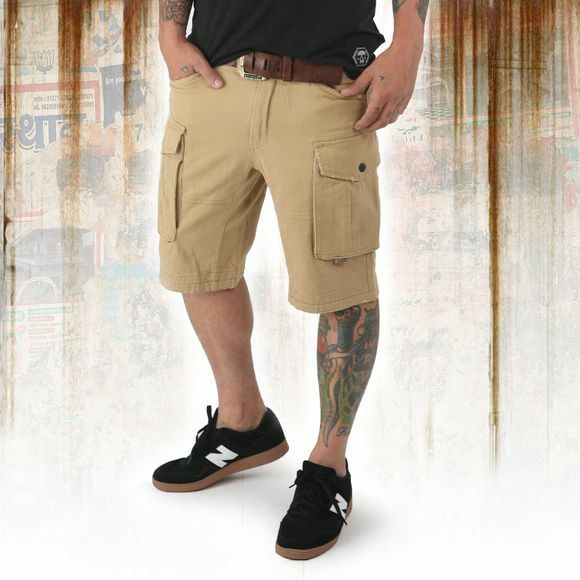 Multi pocket military style shorts featuring a zip fly fastening and logo stitch on backside. These shorts has at all 6 pockets and a reinforced backside. Please watch out for the washing instructions below.